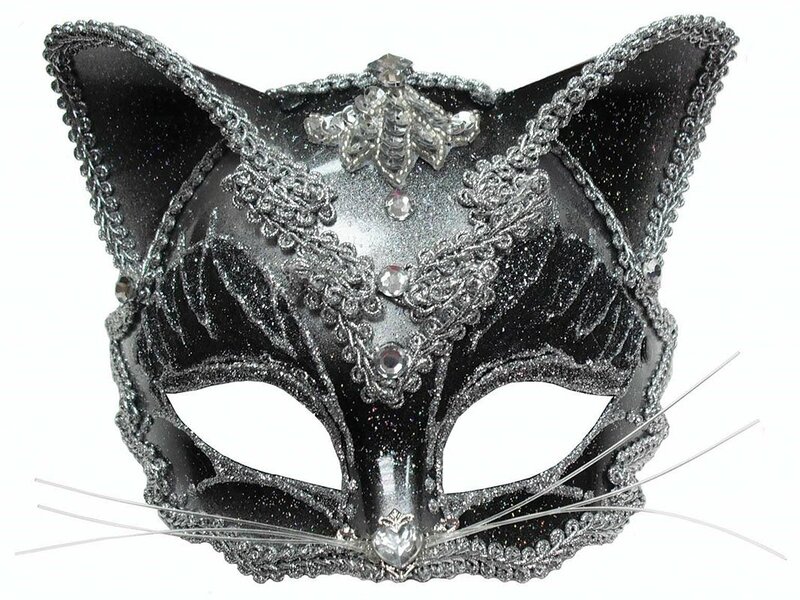 Masquerade is what I would call a 'smart outfitter.' You have all of these costumes, hats, hairstyles, and whatnot but no way to actually combine them into a set wardrobe that you can change at a whim. It can even handle partial outfits and respect what other pieces you might've equipped manually. Here are some cases of that: You've got a bunch of costumes setup in Masquerade but you purposefully didn't use a hat with them, now you can have other sets in Masquerade which change only the hat. In this way you can change the hat and costume separately, even with outfits. You can control polymorphs, personalities, skins, pets, and mounts in precisely the same way as costumes. It's meant to be lightweight and configurable to give you the power to look how you'd want to look with the press of a key or a quick slash command. It saves you all of that tiresome clicking every time you want to change your look. Similarly, you might want to just be able to manually change your look in a quick, hassle-free way without loading your game down with a massive suite that has lots of features you might never use, whilst lacking some you might want. Along with slowing down older computers in the process. Kitchen sink suites aren't always the best option, sometimes smaller, more modular addons which focus on a very specific task without going out of scope will make your life easier and your play time more fun. It's just a matter of giving the player choice. Choice is important. That's why similar-ish addons might exist in the same space, like this one and many others. Masquerade is built to have a very tightly reigned-in scope of just providing you with keybinds to change your outfits in an intelligent, hassle-free way. So if you want to slip into an alleyway and don your stealthy attire and your thief personality without even having to think about it? Either just press a key or type /mq thief and away you go. Just like that. No matter what combination you'd like to use, or how you'd want to use it, Masquerade is designed to put the power of quickly outfitting yourself in your hands without loading your down with anything else. It can even natively support Idle Animations if you have that addon, just set the right profile first and away you go! Masquerade can save two kinds of sets. A complete set is one where all other cosmetic collectibles are unequipped, leaving only the set items you desire to be wearing. It will effectively unequip you of any cosmetic collectible that you didn't define for this kind of set. A partial set is one where it changes only the elements you've selected for the set. So if you want to have a hat, or a pet and mount separate from your outfits, you can do that. /mq help - Tells you of the commands and what they do. Under controls, you'll find a set of bindings for Masquerade, these are numbered 1-9. Each of these correlates to a bind you can set through the /mq bind slash command (see above). So let's say that you've bound a set to keybind slot 1, as in the example above? You can now set a key to keybind slot 1 in Masquerade's bindings to equip that set. I like using the number pad keys, myself, to switch costumes. Which is why I settled on 9 as a good, round number for the amount of sets to provide binds for. I'm sharing this though because I genuinely get satisfaction out of the mere possibility of helping others, even when I don't know for sure. I have no interest in being popular, cults of popularity squick me out. As such, considering my disabilities, I'm unlikely to look at the comments very much. So this addon is delivered as-is, with a hearty dose of caveat emptor. Anything that it doesn't already do is 'out of scope.' You have other choices. I just wanted to make an simple, elegant solution for a real problem I was having. And now I'm sharing it in case it helps others. o After talking with my partner we've decided it's best to offer options for partial and complete sets. You can decide which you want to use and which is right for which situation. It's your choice. This is partly due to the problematic helm toggle that now exists, which sped up the inclusion of complete sets as a feature. o Further tightened up redundancies. o Fixed a cosmetic bug that listed 'currentset' as one of the player's sets. o Added more security redundancies to protect against set name-related bugs. o Bugfix for new users who would've gotten an error. o The equipping of sets has been overhauled for efficiency. o Idle Animations handling has been completely overhauled. o Masq can now save sets with your pets/mounts. o Updated to current interface version (100022). o Minor bugfix. Idle Animations profiles now working properly. o Masquerade now supports skins. o This will be the final version, unless something breaks in an upcoming patch. I'll update for API versions as they come up. o I forgot to clear the relevant bind when a set was deleted, this has been fixed. If you delete a set, it now clears any binds that point at that set. o Masquerade now supports polymorph! However, if you wish to use it, you may want to recreate your existing sets, otherwise things may misbehave if you throw a polymorph into the mix. o Code renovation with added checks, checks, fancying up, optimisations, and checks as Masquerade moves out of its 'proof of concept' stage. o New binds feature, check the main description. Last edited by Tonyleila : 01/05/19 at 01:38 PM. I love this addon, but I need some help. One of the best addons I run! I am having a recent issue however... The screenshot is the error message I get every time I log in or reload ui. I am not very tech savvy, and I have no idea what it means. it doesn't seem to be having any negative effect, the addon still seems to be working just fine, but I get anxious when I see errors I don't understand. is there anything I can do to fix this? Last edited by EraBlack : 10/14/18 at 09:10 AM. I'm glad that this addon is back to being worked on, but I've come across a little glitch. Right now I have two profiles. One named 'base' and one named 'thief'. Changing to thief works flawlessly, no matter what I had costume setup I had on before. Changing to base doesn't work at all though. For my 'base', it's just my regular armor and a hairstyle. It says it's changing to it in the chat box, but nothing changes on screen, and there is no character actions to indicate that it did. I'm not getting any errors to report, it simply doesn't change to straight armor. Last edited by xepla : 05/19/18 at 02:53 PM. Last edited by Granpafishy : 03/29/18 at 06:32 AM. It's only fair that I tell you, but... Sorry, I can't read that. I have generalised anxiety disorder and seeing a giant, bold, red name pop up in the comments almost gave me a panic attack. Sorry. I feel nervous about posting here, still. Kind of on edge. I'll settle down in a while, just... Yeah. It's only fair that I tell you. My partner and I use this addon on a daily basis, so it gets tested regularly. It works flawlessly for both of us, and my partner isn't as tech savvy as I am. We both have a bunch of sets saved and bound. I really, really don't know what to tell you. If I can't reproduce an error with daily play across multiple characters, there's not exactly much I can do. All I can wonder is if your SavedVariables got corrupted somehow. Try deleting the Masquerade.lua from your SavedVariables folder. Beyond that... I don't have a clue. If something was actually wrong with the addon, it'd be throwing a lua error. I had never had this addon installed till you updated it other day, so can't be anything to do with corrupt savedvariables. It was broken out of the box for me. I uninstalled your addon then tried reMasquerade and THAT addon works fine for me so no idea why yours didn't work. Last edited by babylon : 03/21/18 at 06:09 PM. You were not banned. Your email was changed and the status of your account automatically went into waiting for activation (when you change your email a screen should have explained this). An email that can get blocked by spam filters was sent to the new email address with a link to click to re-activate the account. As soon as I received your email I manually re-activated your account. I have not received any further replies to my replies to your emails. It looks like you found that your account has been re-activated though. The reason it was moved to outdates was we received multiple reports that it no longer worked. As soon as it was updated it was moved back. what does it show when you use /mq list ? Last edited by Dolby : 03/21/18 at 05:37 PM. Last edited by Werewolf Finds Dragon : 03/21/18 at 05:14 PM. with zero anything listed after that. Any ideas on how to get this addon to work? Last edited by WfD Temp Account : 02/27/18 at 03:46 PM. nothing happens. The outfit will not change. No text appears on my screen. Nothing. Not sure what I'm doing wrong. Minions claims it is installed, but it's not appearing in my AddOns list and the /mq command is coming up as invalid. Checked the ESO AddOn folder and there doesn't seem to be an LUA folder created for it, so i'm assuming that the installation process hasn't worked correctly. Just a quick note to let everyone know that i found a solution to the download problems people are having with Minion. A guy called Waboka has produced a patched version of this AddOn which downloads successfully from Minion. Although he is careful to state that he is not taking over support of the AddOn. Its just a fix. I've tried it and it works. Last edited by Didz : 05/20/17 at 08:09 AM. Seems the download-Data is not complete. There is no masquerade.lua in the folder and you dont download anything via minion. can someone reupload it who got a working version? I got it downloaded all fine, but when I try to use the commands I keep getting the Invalid command error; any fix? I also am having this problem. As an additional note, it is not showing up in the Addon List, not just the settings menu for them, but the Addon List that you use to select which addons are active or not.